Home » Uncategorized » He returns. 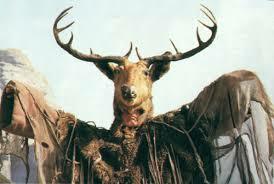 The costume of Herne the Hunter from the Robin if Sherwood series, will be back on display at The Robin Hood Legacy attraction in Nottingham from with August 2016. The grand opening will be on with August 2016 from 1pm-3pm.